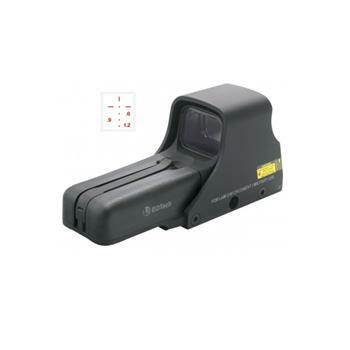 EOTech Model 552-XR308 Holographic Sight - Night Vision - AA Battery - Qualifies For Free Ground Shipping! Ballistic Reticle Designed For .308 / 7.62x51mm Ammunition. Battery Life: Lithium: 1,000 continuous hours at nominal setting 12 at room temp. - AA alkaline: 600 continuous hours at nominal setting 12 at room temp.